Part of making our community a better, friendlier place is making sure that everyone feels included, understood, and safe. And, one way we work to achieve this is by changing the way we think about – and talk about mental health issues! So, why does language matter? Let’s look at a few examples. How often have you heard phrases like these being used by your family, friends, or coworkers? Stop being such a psycho! He went to the nut house. Sure, we’ve all heard phrases like this being tossed around at home, at school, or at work. Maybe these terms have even worked their way into your vocabulary! But, while describing someone or something as “crazy” or “OCD” may be common to hear, this type of language is actually problematic and harmful in many ways. 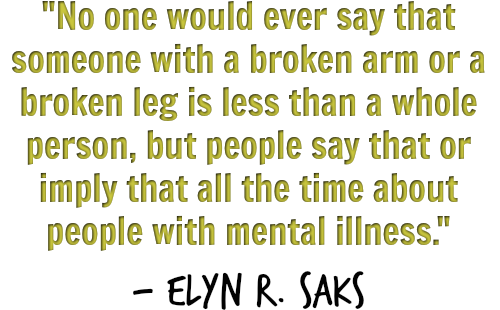 Calling someone or something “crazy” turns a mental health issue into an insult or a personal weakness. When this happens, mental health disorders become “stigmatized,” or thought of as something to be ashamed about. As a result, people can become less likely to talk about mental health, and less likely to seek help. Using terms like “OCD” or “psycho” turns medical conditions into jokes. In many ways, it minimizes the seriousness of common conditions such as depression, schizophrenia, anxiety disorders, and obsessive compulsive disorder. We would never joke about other types of medical conditions such as cancer or heart disease, so what makes mental health conditions any different? Why we don’t say, “commit suicide.” It’s not uncommon to hear someone use the phrase “commit suicide.” While this may have been an acceptable figure of speech in the past, that’s no longer the case as we use the word “commit” when talking about a crime. Today, some preferred phrases among professionals and survivors of suicide is “died by suicide” or “completed a suicide.” This type of language is less stigmatizing, allows us to have a more open dialogue, and better honors the lives of those lost to suicide. 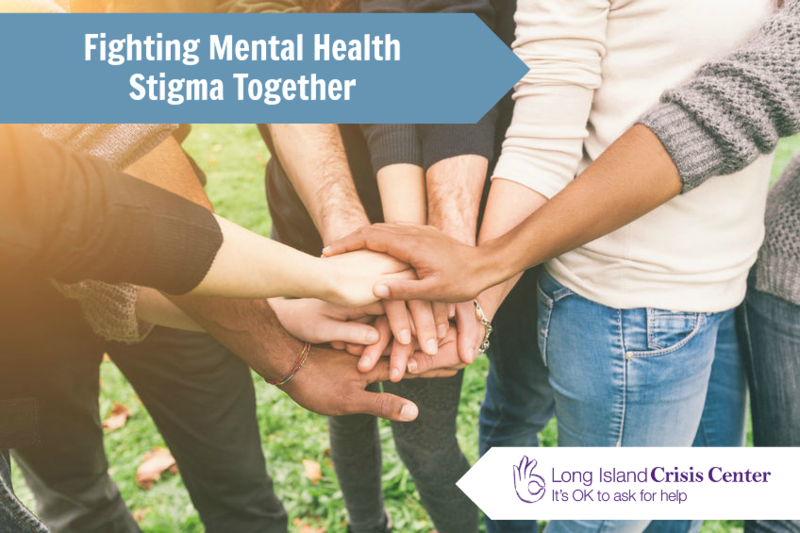 Mental health issues affect over one million people on Long Island each year – individuals you work with, go to school with, or even live with. You, yourself, may be living with a mental health condition and understand the issue firsthand. No matter what your experience is, it’s important to remember that the language we use has the power to make people feel accepted or not accepted – safe or unsafe. This is why each of us plays a role in saying it better, and treating everyone with the respect they deserve. Make the decision to change how you talk about mental health. Instead of describing your friend as “crazy,” explain what she or he is doing to make you feel frustrated or angry. Instead of saying that your classmate went to the “nut house,” commend them on seeking mental health treatment. Instead of telling someone to “just get over” a mental health issue, listen to them, and ask them how you can support them during their treatment. Speak up against insensitive language. Most people don’t mean to be hurtful or offensive, so make sure to be respectful when telling someone why their language is problematic. Your goal should be to educate and raise awareness, rather than to scold.